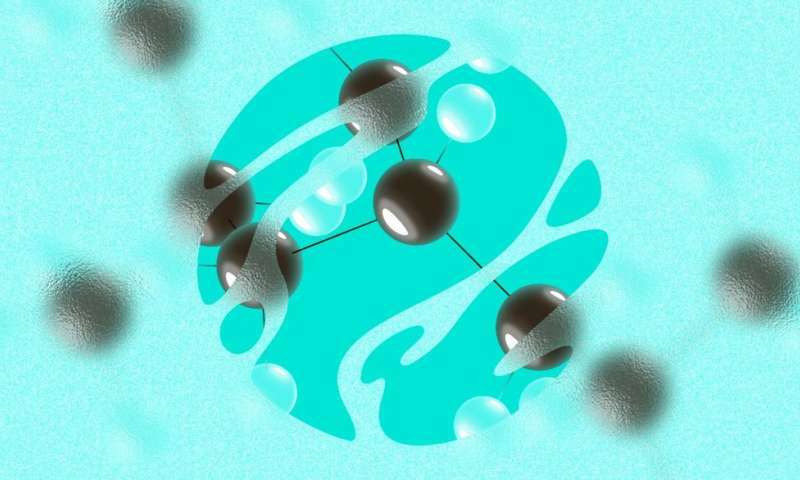 Physicists from the Moscow Institute of Physics and Technology (MIPT) and Lomonosov Moscow State University have combined thermal analysis and X-ray scattering—two techniques for studying crystal structure—in one experimental setup to investigate semicrystalline polymers. Over 100 million tons of such polymers are produced annually to make fabrics, packaging materials, neural prosthetics, and more. An in-depth understanding of the structure and behavior of these materials is necessary for synthesizing and processing polymers that do not fail even under extreme conditions and in specialized applications. The research findings were published in ACS Macro Letters and are featured on the cover of the journal. By observing how a material behaves at changing temperatures, one can determine its heat capacity and some other thermal properties. This principle underlies thermal analysis, a set of staple techniques for materials research. The authors found that thermal analysis may produce false results when applied to semicrystalline polymers. To find and correct the flaws in the data characterizing the material, the physicists improved the design of the calorimeter—the principal device in their thermal analysis experiment—as well as making X-ray images of the sample along the way. A thermoanalytical experiment runs the risk that the structure of the sample under investigation can change uncontrollably, as it is being heated. If this happens, the findings themselves will apply to some uncontrolled modification of the original material. This is especially true for semicrystalline polymers, whose metastable structure is not only sensitive to temperature but also depends on the thermal history of the sample. 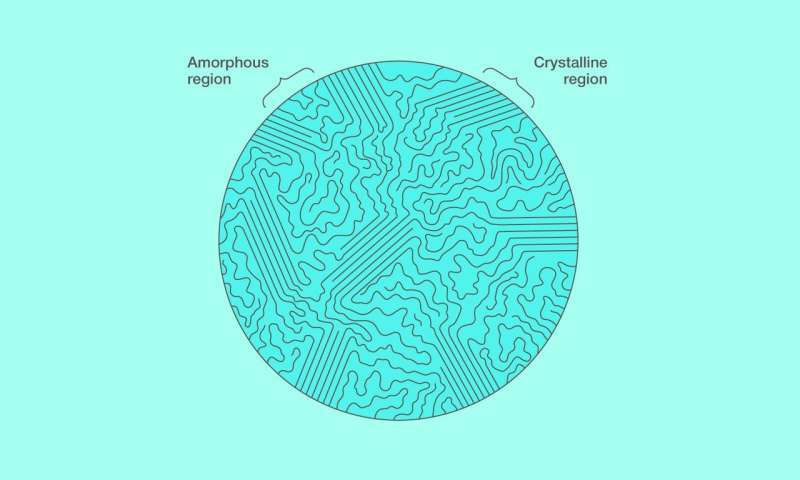 The structure of a semicrystalline polymer (figure 1) is special in that the long polymer chain is in part arranged in regular folds, known as crystalline lamellae, while elsewhere, in the so-called amorphous regions, it meanders unpredictably. As the temperature changes, this structure can behave in a complex way. In particular, the material can exhibit multiple melting events instead of just one. However, this does not necessarily indicate complex thermodynamic behavior, since the effect could also be explained by the polymer structure evolving in the course of the analysis. This casts doubt on the findings of earlier thermoanalytical experiments, because they did not exclude the possibility of polymer structure evolution. The researchers found a way to eliminate this uncertainty. 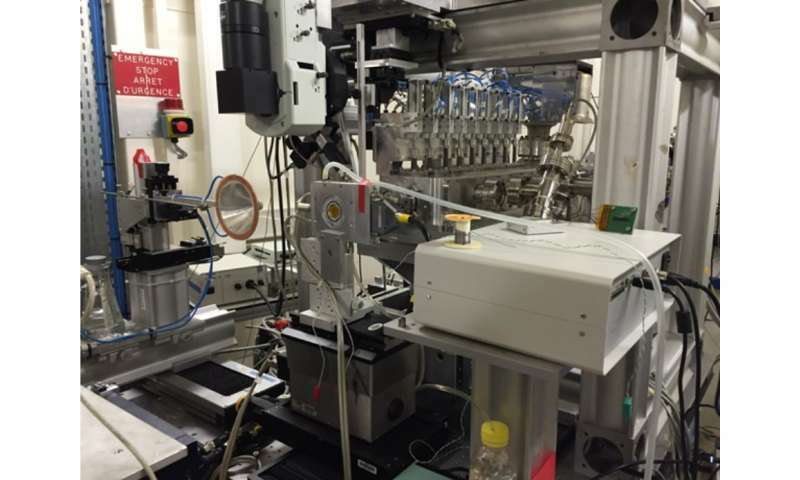 They came up with an experimental setup for studying semicrystalline polymers that combines thermal and X-ray analysis. It turned out that the critical parameter is the heating rate: To prevent structural changes of the sample in the course of the experiment, the temperature needs to change faster than polymer structural reorganization occurs. Notably, the critical heating rate depends on the temperature at which the polymer was crystallized. The paper's co-author Professor Dimitri Ivanov, who heads the Laboratory of Functional Organic and Hybrid Materials at MIPT and is director of research at the French National Center for Scientific Research, commented on the results of the study: "We demonstrate that the findings obtained using this method [thermal analysis] might be misleading, since they depend on the experimental conditions. So as not to fall into this trap, thermal analysis needs to be supplemented with a technique like X-ray scattering." Among others, the researchers studied a polymer called polytrimethylene terephthalate, or PTT, crystallized at 150 degrees Celsius. They found that when heated at 500 degrees per second or faster, there is not enough time for the structure of the polymer to change. However, at a relatively low heating rate of 1 degree per second, this was not the case. These findings were enabled by enhanced calorimetry equipment. First, the authors designed and used an ultrafast calorimeter capable of working with rapid temperature changes. Secondly, the apparatus was combined with an X-ray diffractometer incorporating a synchrotron light source and an ultrafast X-ray detector. This detector, which is sensitive enough to spot single photons, was used to monitor changes in the structure of the material with millisecond precision. By observing multiple melting peaks of semicrystalline polymers at different heating rates, the authors have proved that this behavior may in fact be evidence of complex thermodynamics as opposed to structural changes in the material. Besides, the study outlines the limits of applicability of the widely used analytical equipment, pointing out its weak spot—namely, the lack of information on sample structure during the experiment. By enhancing their thermal analysis experiments with a structure-sensitive technique such as X-ray scattering, other researchers can now gain a better understanding of the behavior and properties of semicrystalline polymers, an economically important class of materials.